This week’s Dancer of the Week is Sarah Kosterman. 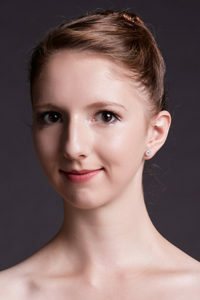 Sarah graduated from Butler University with a Dance Performance degree and toured throughout Eastern Europe with Butler Ballet. 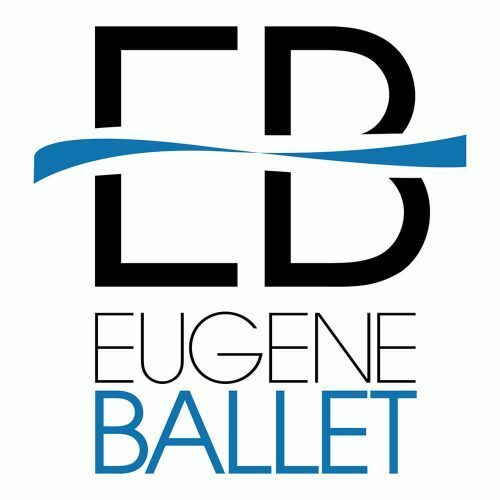 This is her first year as a Company Dancer with Eugene Ballet. -What drew you to dancing? What do you enjoy about it? I’m not sure what initially drew me to dance. My parents have videos of me dancing around the house in a tutu from before I can even remember. But what has kept me in it through the years and even today is the beautiful music and the absolute feeling of freedom and joy that I feel when I’m dancing either in the studio or on stage. I think it’s the closest I will ever get to feeling like I’m flying. – What are some things you’d like to work on? Of course there are hundreds of things that I would like to improve upon in my dancing. And while it’s impossible to not be thinking of corrections and technique, one thing I’ve been challenging myself to do, especially in class every morning, is to not focus so much on all the negative things, or worry too much if I don’t get it right the first time. Often I find if I can get out of my head and enjoy the movement and find that feeling of freedom that I love, class and the rest of my day goes so much better. -What are some pieces that you particularly enjoyed/enjoy dancing? One of my favorite pieces I’ve performed in with Eugene Ballet was Val Caniparoli’s Tutto Eccetto il Lavandino. Getting the opportunity to perform the solo for the pieces was incredibly challenging and so rewarding. I’ve never felt more powerful on stage. And no matter how many times we do it, I love The Nutcracker. With the nostalgia and memories it brings, the music, and the new and old challenges, it will always be a favorite of mine. -What do you like to do when you aren’t in the studio? When I’m not in the studio I love spending time with friends, going on long walks, and cooking and baking yummy things. An Interesting fact about me is that I love to stay busy and learn new things. In the past year I’ve taken up knitting, cake decorating, and even took an interior design class at Lane Community College.